Building Inspections Melbourne, Pre-Purchase, Handover by Inspector Hawkeye. Looking for Building Inspections in Melbourne? Inspector Hawkeye offers the quickest and easiest to read building inspection reports in Melbourne. Inspector Hawkeye is a building inspection business that provides pre-market building inspections to vendors and traditional buyer building inspections. An easy to read report will be provided within 24 hours of the building inspection being conducted. Our colour coded alert system will provide you with accurate and concise information about the property, so you can make an informed decision with confidence and peace of mind. 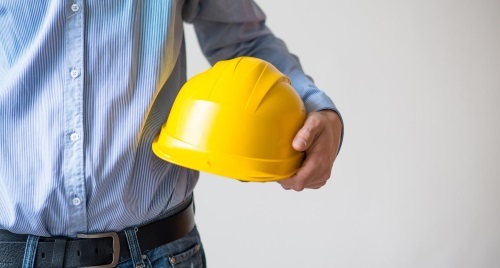 Inspector Hawkeye, building inspection Melbourne, has been established on the back of over 20 years of building and construction experience in the residential housing sector throughout Melbourne and country Victoria. It has become increasingly apparent to Inspector Hawkeye that home buyers have been unable to acquire consistent expert advice on the state of repair or disrepair of a property that they were interested in purchasing. When people are looking to buy a property too often they venture into their biggest purchase on the back of makeshift and off the cuff opinions. Such an important decision requires better than this. Similarly, where a professional opinion is sought, too often buyers are confronted with exorbitant prices for a document and opinion that is too large and too difficult for the everyday homeowner to interpret and understand. A Building Inspection by Inspector Hawkeye changes all of this. When selling a property Inspector Hawkeye’s pre-market building service puts vendors in control of their sale. Our service removes the anxiety and uncertainty associated with the sales process, giving vendors peace of mind that they are ready for sale. We will provide you with a concise and easy to read report that meets the guidelines of the Australian Standards at an affordable price. Get ready to buy and sell with an Inspector Hawkeye’s building inspection. Inspector Hawkeye has saved me a lot of money over the years, illustrating defects and issues in their reports on properties I thought were sound. It’s a form of insurance all properties buyers must have. You must use Inspector Hawkeye. Inspector Hawkeye are professional and diligent. Their staff are very easy to deal with and the building report was very easy to read and understand. I recommend Inspector Hawkeye for your next inspection. My wife and I have been searching for a family home for the past 12 months and have used Inspector Hawkeye on all the properties that we were interested in and bid on. The inspections and reports give us clarity and an understanding on the possible investment that we are looking to purchase. We endorse Inspector Hawkeye. 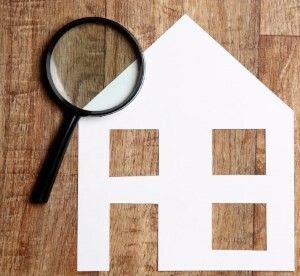 At Inspector Hawkeye we believe that the residential property market is lacking a customer friendly Melbourne building inspection company, where the information gathered can be collated and documented in a way that makes it easy to read and understand for the client and prospective home buyer. Building professionals and those ‘in the trade’ tend to talk in a language and manner that is not easily translated by those outside the industry. This is highlighted when receiving a pre-purchase building inspection report from other service providers in the market. Invariably they are very difficult to understand and you can feel overwhelmed by the language and documentation. Sometimes you may walk away with more questions that when you started. We believe a client who requests a pre-purchase building inspection Melbourne, requires only a few key items to ease their anxiety prior to the possible purchase of the property. That’s why at Inspector Hawkeye we have a quick and easy reporting system that provides the customer with an easy to read, detailed number and colour coded report done to Australian Standards along with subjective written summary and review of the property. All of this within 24 hours of the property being inspected. It’s as easy as picking up the phone.